SANTIAGO, April 7, 2016 - People take part in a march in support of the Mapuche ethnic group in Santiago, capital of Chile, on April 6, 2016. 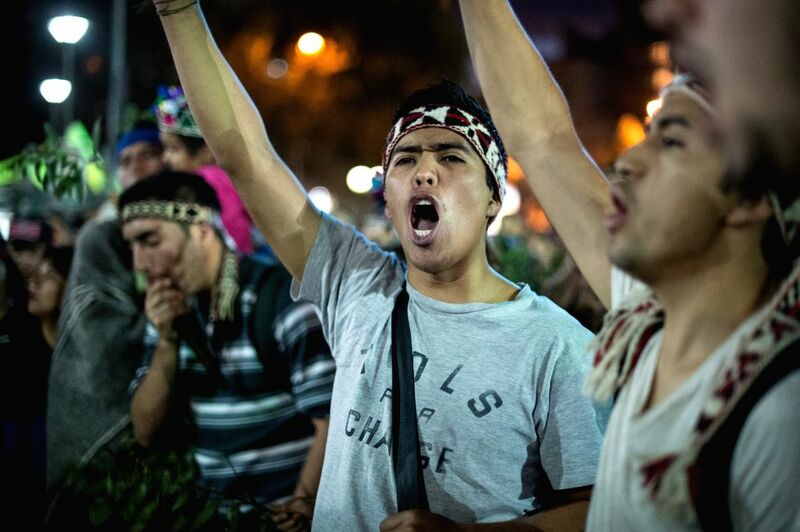 According to local press, the march in support of Mapuche people was convened in various parts of the country to protest against what the protesters consider mounts by the State in relation to the arrest of 11 people of the Mapuche ethnic group in the early hours of March 30, 2016, in the region of Araucania, by the Police Investigations (PDI, for its acronym in Spanish) for the death of marriage Luchsinger-MacKay, after being torched his home in January 2013. 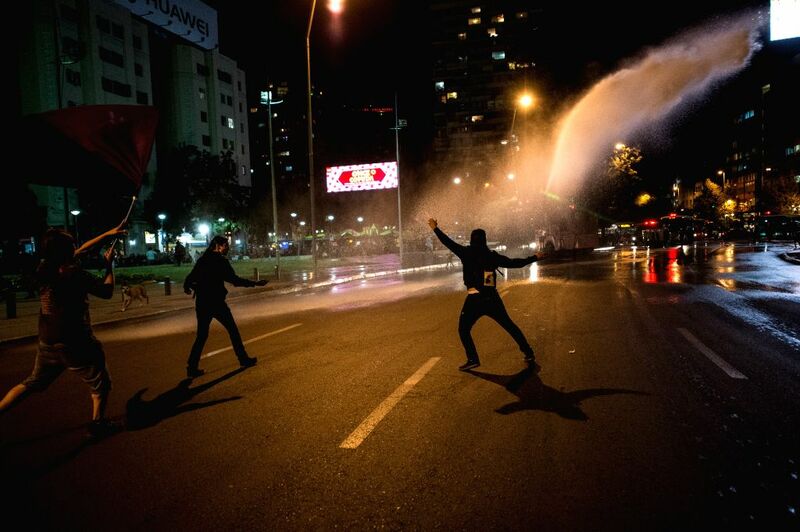 A police vehicle sprays water to demostrators during a march in support of the Mapuche ethnic group in Santiago, capital of Chile, on April 6, 2016.